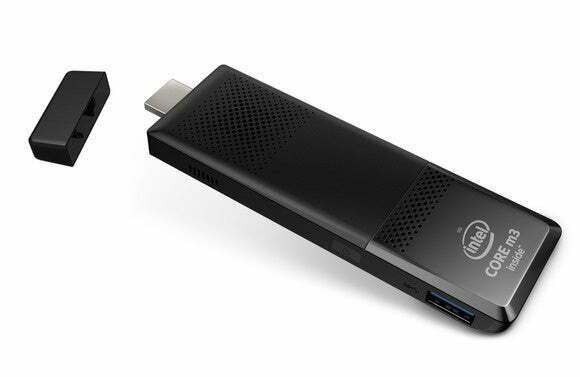 Thumb-size PCs like Intel’s Compute Stick are still a novelty, but adoption will slowly grow as TVs and displays increasingly become the center of entertainment and computing. ABI Research is estimating that shipments of these compact computers will reach 5 million by 2021. ABI didn’t provide shipment numbers for 2015, but the market for the devices is still in its infancy. Stick PCs first started popping up with Android OS in 2014, with the most prominent example being Dell’s Wyse Cloud Connect—popularly known as Project Ophelia—which is still available for $129. 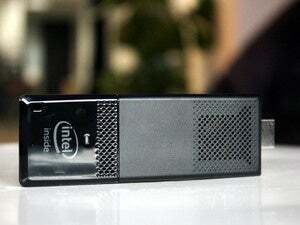 Intel last year introduced low-cost Compute Sticks, which have basic storage, memory, processors, Wi-Fi and USB ports. Asus sells the Chromebit with Chrome OS for under $100. Users still need a separate keyboard and mouse to use these ultra-compact computers. Some miniature computers aren’t cheap. Intel’s Compute Sticks with Core M3 and M5 processors—which are in expensive tablets and hybrids—are priced above $399. Those devices are targeted at enterprises and can be managed and secured remotely. For example, a system administrator can prevent usage of the Compute Stick in unauthorized places. The Compute Stick can provide a full desktop experience, but there’s confusion around these devices, Orr said. PC makers will need to articulate the purpose of these devices to potential buyers. Unbranded compact computing sticks demonstrated at shows like Computex were dedicated to video streaming, much like Google’s Chromecast. Other Android sticks replicated the tablet and smartphone computing experience on large TV screens. Analysts at IDC and Gartner said it would be easier to customize these devices for entertainment or specific applications. The research firms don’t account for thumb-size PCs in their quarterly PC shipment numbers, but will start doing so in the coming quarters. Worldwide PC shipments were 276 million in 2015, according to IDC.